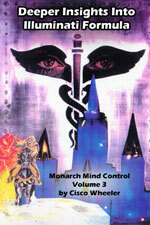 Volume two of the three part Monarch series by ex-Illuminati slave Cisco Wheeler explains in detail how the Monarch trauma based mind control system is set-up and layered into a victim. When I first read the horrific details about this type of mind control I could hardly believe it. The fact that anyone could even survive these tortures seemed almost impossible. However, the spiritual aspects of Monarch mind control were not new to me as I had no problem believing the rituals and demon aspects of mind control, having experienced those things firsthand. While reading these volumes, there were many times I found myself thinking (wishing) that this whole mind control agenda could not possibly have happened and yet..... torture similar to the things described in this book have existed throughout history (P.O.W. torture/concentration camps for example). It is an historic fact that these experiments were done - there are surviving records. It is a fact that the humans who carried out this mind control existed in the past and still other humans carrying out Mind Control exist today. It is a fact that secret socities and satanic covens have existed throughout history and continue to exist worldwide. It is a fact that animal and human sacrifice also still exist. In various interviews victims of these mind control abuses are all saying practically the same things - naming similar names of programmers and places where their programming was carried out. A reader can only come to one of two conclusions - either this is all a huge, well orchestrated hoax or it is a huge, well orchestrated, frighteningly real conspiracy of global proportions. Most people with even the even the smallest interest in world events knows that the New World Order is an ever increasing fact. The signs are everywhere for anyone with even the smallest desire for truth to see. The plans for total control of the masses infect every area of life. It is not hard to see that what is being done to the general populace has been, and continues to be, done on an individual basis to the victims of ritual/trauma based mind control. What is hard to believe is that people who are armed with truth in other ares of life either cannot or will not see the truth about mind control. 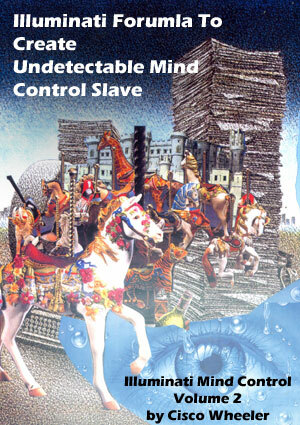 Fortunately the generalizations and whitewash that often abound concerning mind control are put to rest in these books. The exact detail and methodologies of Monarch mind control are carefully spelled out by Cisco Wheeler, who has been both a victim and a programmer. She brings a lifetime of knowledge about the Illuminati plus her own story of memory retrieval and deprogramming. 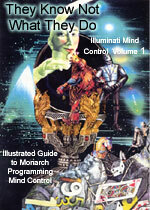 Programmers and programming sites are named here as well as comprehensive details on how the mind control system is set up, beginning with the first step of selecting the victim and beginning them through all of the various tortures, rituals and procedures that the victim will endure during their life of slavery. Sciences of mind/brain function and technology most people have probably never heard of are shown. Things I once had commited to the realm of science-fiction turn out to be scientific fact here, wrapped up in a blend of unbelievable physical, mental and emotional torture. Fortunately there is a way out, and despite the complexity of this type of mind control this is still a system of abuse that can be undone. Victims of Monarch mind control can be helped. Those who have the eyes to see and ears to hear need to step forward and offer assistance in any way possible. Those who may be sitting on the fence need to jump off onto the side of belief in Jesus Christ. For those who have yet to believe, it is time to wake up. This system of mind control has been highly perfected by the Illuminati and they are now programming in ever increasing numbers. However, despite the best efforts of the programmers, many victims of Monarch mind control have been deprogrammed and are recovering to varying degrees. These victims need people who are both willing to believe them and be able to help them. Every Christian deliverance ministry, therapist and believer should study this book.